COEUR D'ALENE, Idaho -- Law enforcement officers were so stymied by the search for abduction victims Shasta and Dylan Groene last summer that they began working with a psychic investigator. Shasta was rescued alive before the tips that psychic Noreen Renier provided could be used, but Renier said she's confident that she had been able to "see" where Joseph Edward Duncan III is accused of holding the children in a Montana forest. Renier had a telephone conference on June 30 with Kootenai County sheriff's Detective Brad Maskell, lead investigator on the case. "I was willing to try just about anything in an effort to rescue those two kids," Maskell said this week. 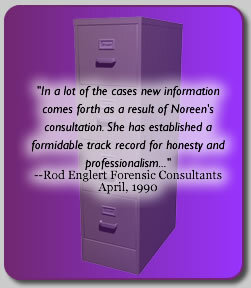 "This case was the first where I actually participated in a (psychic) session. It was interesting. It was obviously unusual." Duncan is charged in Kootenai County, Idaho, with three counts of first-degree murder. He is accused of breaking into the home shared by Mark McKenzie and Brenda Groene and three of her children on May 16, 2005. McKenzie, Brenda Groene and 13-year-old Slade Groene were bound and bludgeoned to death, and the two smaller children were abducted. Authorities contend Duncan held the children at remote, primitive campsites near St. Regis, Mont. Duncan returned to Coeur d'Alene with 8-year-old Shasta on July 2; he was arrested at a Denny's restaurant. The remains of 9-year-old Dylan Groene were found in a Montana forest shortly after the arrest. Federal officials plan to charge Duncan with crimes against the children in federal court in Idaho when the state case concludes. Because Duncan's murder trial is scheduled in April, Maskell said he couldn't discuss specifics of the psychic session. Though many things Renier told him during the session were very general and could be interpreted several ways, Maskell said some of the information was similar to what detectives learned after Duncan's arrest. Renier said she described a wooded area where Duncan held Shasta and Dylan. "I think I did see where (Duncan) had them," Renier said. The session with Renier was conducted over the telephone, since she lives on the East Coast. Renier said that she can touch an object belonging to a missing person or a murder victim and get an impression from that object. She said she can see, hear and feel the actions or experiences of a victim or murderer. In the Groene case, Renier said she was mailed toys belonging to both children. Because the toys were from their father's home, and not the rural home where the children's mother, older brother and mother's boyfriend were killed, Renier said she was limited in seeing what had taken place at that scene. Certain objects are more easily read, she said. In a homicide case, that might be something off the victim's body, like a watch or a shoe, she said. "If they have a murder weapon, that's perfect," she said. No murder weapon has been found in this case. 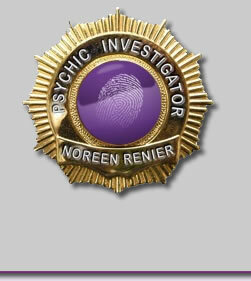 Renier has worked on more than 450 cases in her 30-year career as a psychic detective. She said it's important to note that psychics don't solve cases, but can help police. Steve Groene, father of the children, was not immediately available for comment. Maskell and Coeur d'Alene FBI Supervisor Donald Robinson said investigators received many tips from psychics during the search for the missing kids. Those tips were evaluated using the same criteria investigators use for any other lead, Robinson said.